This is for all the ladies: Get Your Glow On! 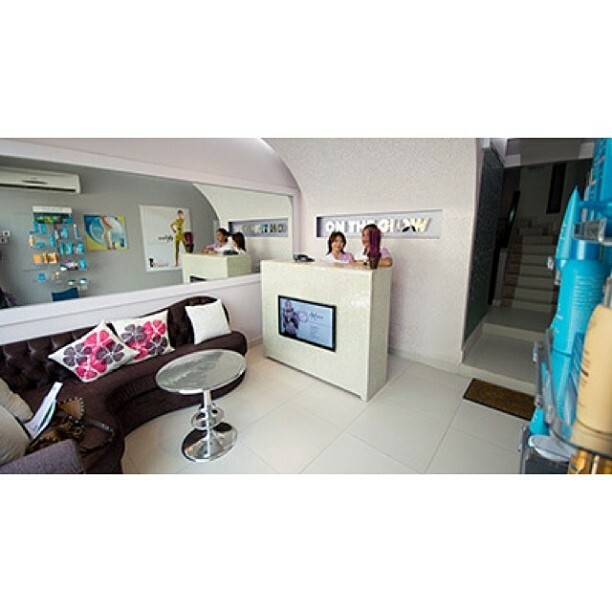 Restless in Riffa: This is for all the ladies: Get Your Glow On! This is for all the ladies: Get Your Glow On! On an errand recently in Riffa, I came across a unique concept called On The Glow. 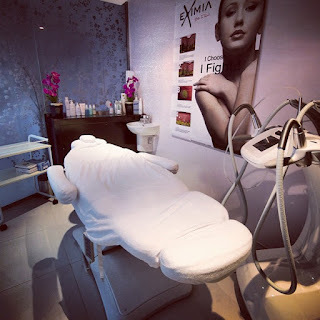 Basically, it's a medi-spa that offers nonsurgical services to enhance a woman's beauty by high-end technologies. The girls working at On The Glow took me on a tour. They've been open since last summer but have just started promoting themselves since the medi-spa concept is still pretty new to Bahrain. You can tell the place has been designed with effort and an attention to detail - subtle colors, soothing layout, and friendly staff. I keep hearing about all the extreme measures being taken by girls (and I emphasize on girls because they are getting younger and younger) - botox and fillers and surgical procedures that sometimes go wrong and can be fatal God forbid. Botox at 19 - what next? On The Glow promises to postpone the affects of aging and that you can start irrespective of age. 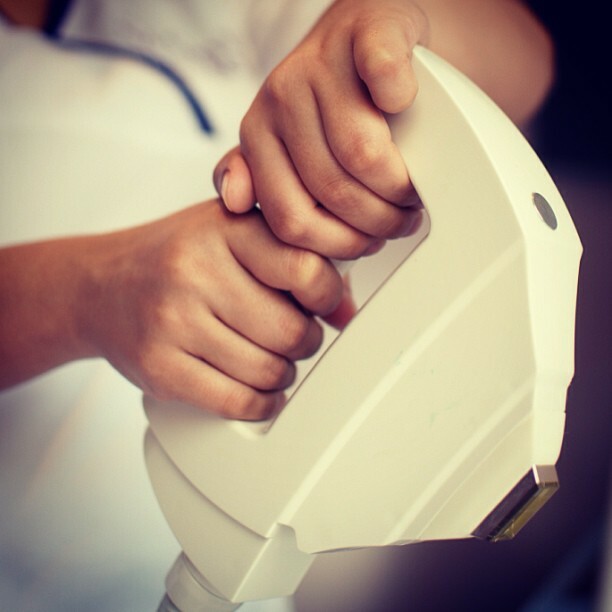 Their treatments are non-invasive (that is - nothing surgical or painful). They have several treatment rooms and they are all well equipped, sanitary, and well-lit. 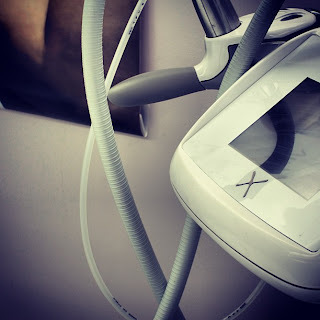 The staff are certified general nurses and although the treatments are nonsurgical On The Glow insisted on nurses to ensure the most professional and safe treatment is provided to clients. 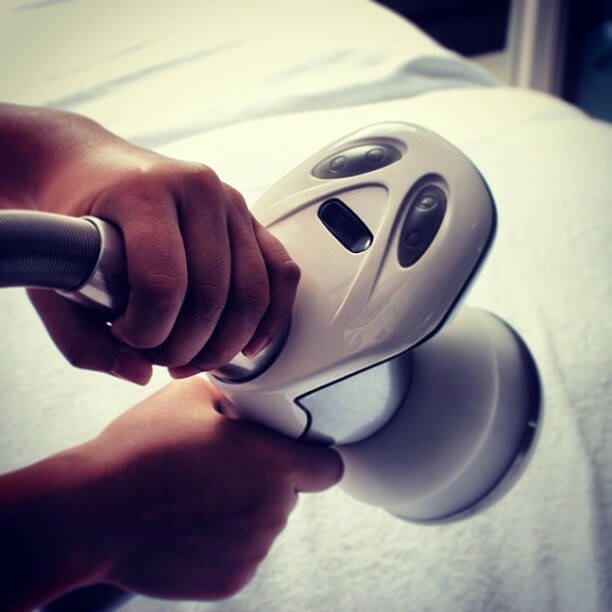 They offer three types of services: IPL (which stands for Intense Pulsed Light), Eximia (an Italian technology that treats skin imperfections and cellulite), and the Luxura tanning bed (one of the best tanning beds on the market). IPL can be used for hair removal and also skin rejuvenation. IPL Rejuvenation tackles skin pigmentation, varicose veins, spider veins....etc. The Luxura tanning bed is a great alternative to the harmful effects of the sun and UV rays and gives you a 'glow'. 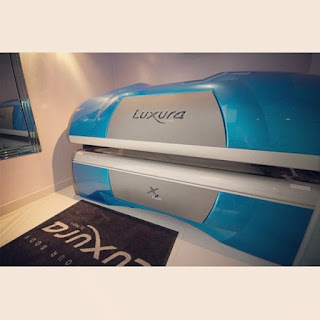 This is an excerpt off their website: "the Luxura tanning bed presents certain health advantages such as exposure to vitamin D, improvement to the immune system, improvement of skin disorders such as acne and psoriasis, enhanced mental health and mood." Eximia is a different kind of machine that is gaining popularity in America and Europe. Off their website, "It will help you redesign your body by effectively treating imperfections such as cellulite, excessive water retention, localized fatty tissue, sagging skin, loss of elasticity, stretch marks, aging skin, and wrinkles. It helps to flatten your stomach, burn cellulite and fat, add volume and cleavage by tightening the muscles of your breasts, removes old and new stretch marks, tightens and lifts your skin to assist with the removal fine lines and reduction of a double chin. Eximia can also be used to remove water retention and activate lymph nodes." They open all week however on Fridays they only take appointments. Their timings are 11am to 9pm and they are active on Instagram, Twitter and Facebook. Ladies give them a try - they know what they're talking about. Location: In West Riffa, off the main shopping street and right next to Purple Patchouli and Purple Swirl. Hot with a capital CH.